The annual Philippine Pharmacy Summit 2019 marks the 7th year since it started in 2013 hosted by the University of the Philippines Manila. The event will update and helped Filipino Pharmacist-advocacy on how they will faced different challenges in pharmaceutical world. The The 7th Philippine Pharmacy will be conducted on February 17, 2019 at the De La Salle Medical and Health Sciences Institute in Dasmarinas City, Cavite. 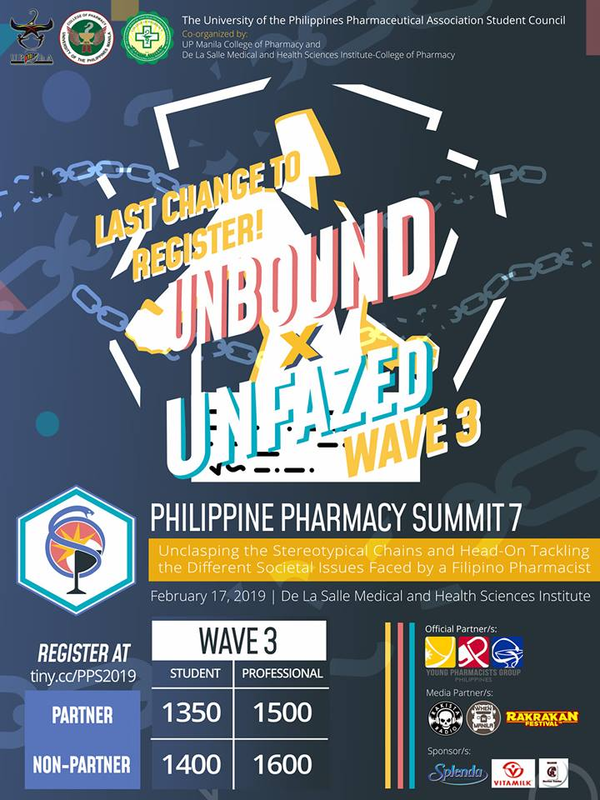 The 7th Philippine Pharmacy Summit officially opens WAVE 3 of its registration! Slots for this wave are available from January 29 (8:00pm) to February 8, 2019 (12:00 MN). Hurry! Limited slots available. PPS 7 can be applied as “Self-Directed Learning” to PRC. You may message the Philippine Pharmacy Summit page for inquiries.